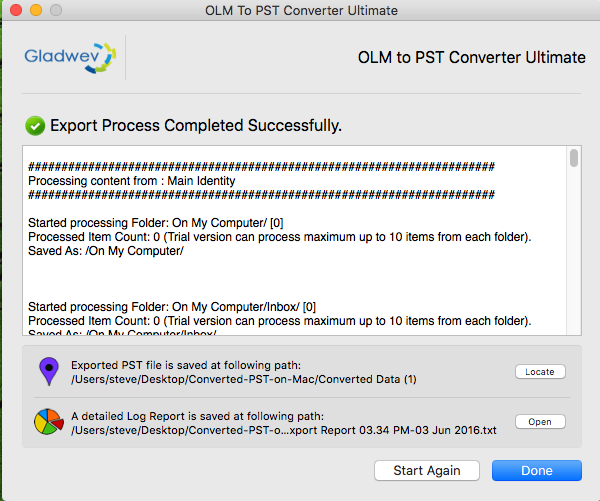 Step – 1 Choose the input email database source to convert: Express or Custom. 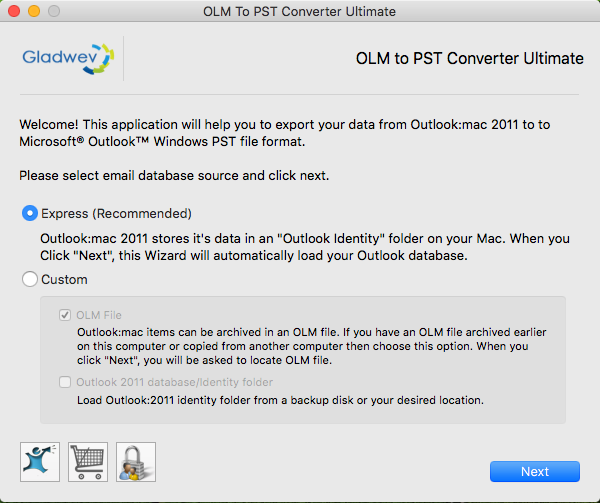 ‘Express’ automatically loads your Outlook database from the identity folder. 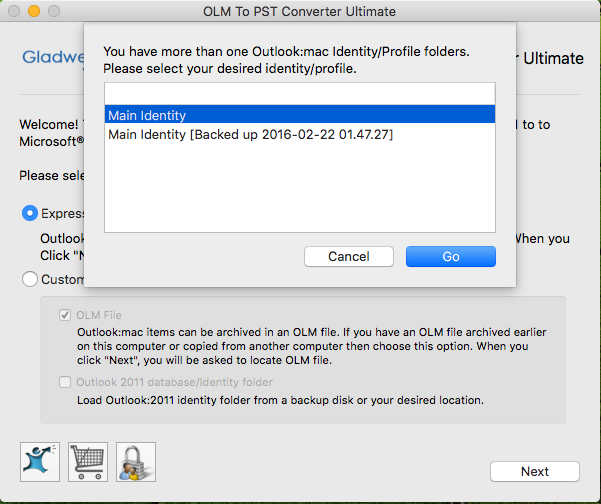 ‘Custom’ lets you load OLM files or identity folder from any location. Then, click ‘Next’. Step – 2 :- If you have more than one identity folders, you choose the one you want to convert. Check/uncheck the folders you want to convert/ignore. 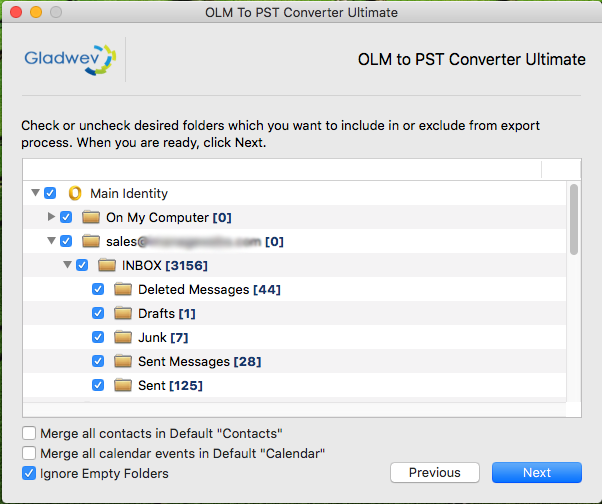 Check if you want to merge all contacts to a default ‘Contacts’ folder. 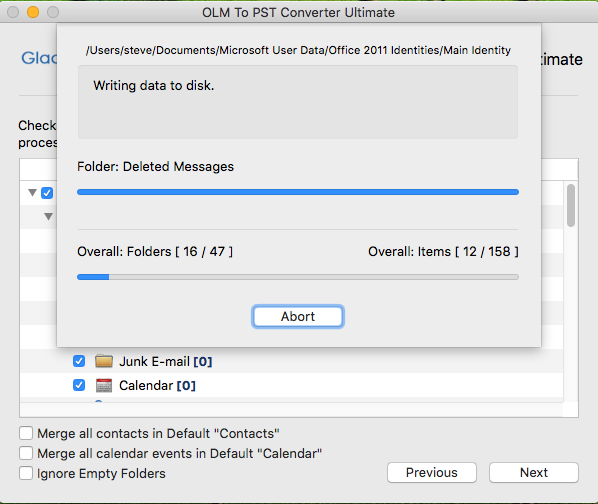 Check if you want to merge all calendar events in default ‘Calendar’ folder. Check if you want to ignore all empty folders. 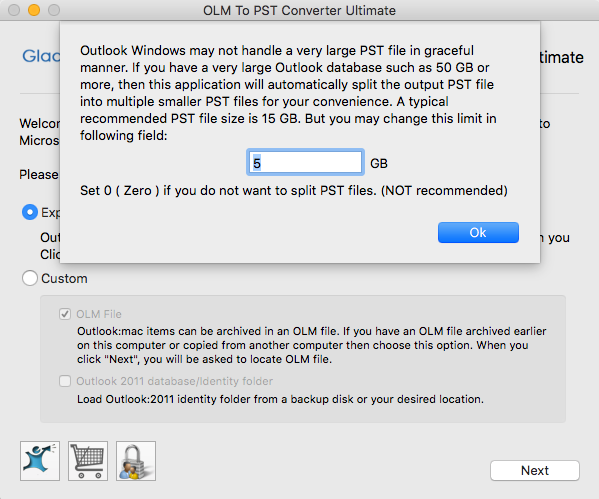 Step – 4 :- Set the size-limit for PST files to split them into smaller files if the limit is crossed. 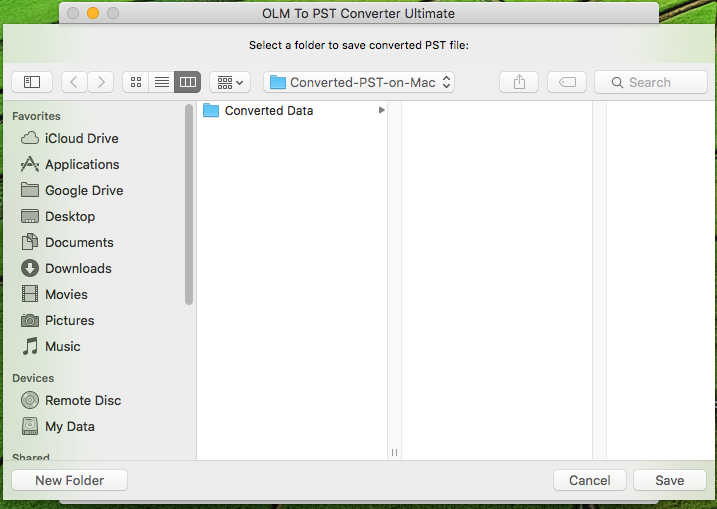 Step – 5 : – Select a location to save the PST file after conversion. Step – 6 :- Wait while the tool converts the data. You can click ‘Abort’ to cancel the conversion midway.